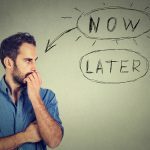 Most business owners don’t know what their business is worth or have unrealistic expectations of what they might receive for their business. 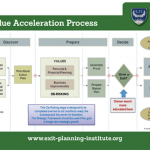 Business valuations are a critical component in the exit planning process – but valuations are also required for other business situations such as for making gifts or charitable contributions, employee stock ownership plans or stock incentive programs, financing, financial reporting or entity structure changes. As such, there is often confusion around the types of valuations that are available from various sources. 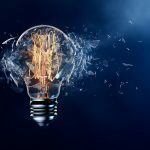 In this session, you will learn the difference between qualified re-casted financial analysis and certified business valuations – and in which situation each may be most appropriate. Understand the methodologies used to determine the value and drivers identified that can be improved upon to increase the enterprise value of a business. Melisa Silverman, a Certified Exit Planning Advisor, as well as a Certified Valuation Analyst. 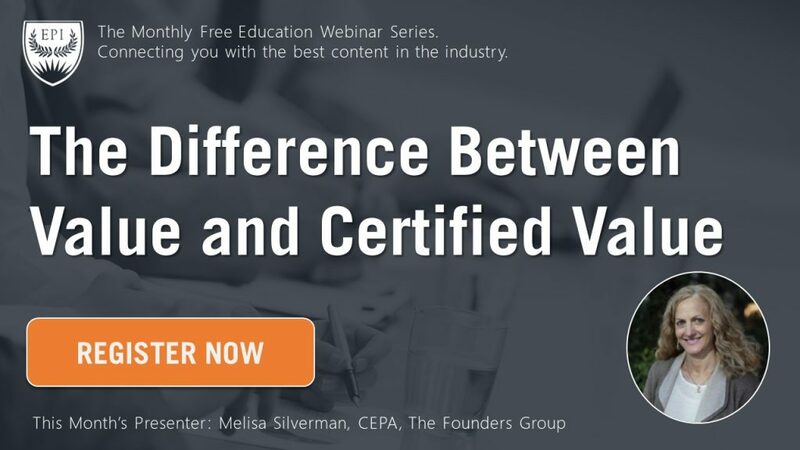 Tuesday, May 1, Melisa will be hosting a webinar to discuss the difference between value and certified value. During the session, attendees will learn the difference between qualified re-casted financial analysis and certified business valuations – and in which situation each may be most appropriate. Attendees will be able to understand the methodologies used to determine the value and drivers identified that can be improved upon to increase the enterprise value of a business. Make plans to join the webinar Tuesday, May 1, 2018, at 1 PM EST.